The Mauritshuis houses the Royal Cabinet of Paintings which includes many of the finest Dutch Golden Age paintings including Johannes Vermeer’s Girl with a Pearl Earring. Nevertheless long queues formed to see Prized Possessions which speaks of the importance of the works on show in this exhibition. Prized Possessions builds on the tradition established at Petworth House by house and collections manager Andrew Loukes of re-examining the collections and art of the National Trust. In the 17th and 18th centuries Dutch art informed English taste. It is wonderful to see these works displayed in the context of, arguably, England’s finest country house. Petworth has a fine collection of Dutch masters. The exhibition reflects the diversity of subjects and styles in Dutch Golden Age art with wonderful religious scenes, landscapes still lifes and portraits. Prized Possessions has been curated by David Taylor and Rupert Goulding. The paintings on show are amongst the most celebrated and prized in the National Trust’s collections. The visitor to Petworth will uniquely also be able to see a selection of Dutch masters generously loaned by Lord Egremont from his private collection. 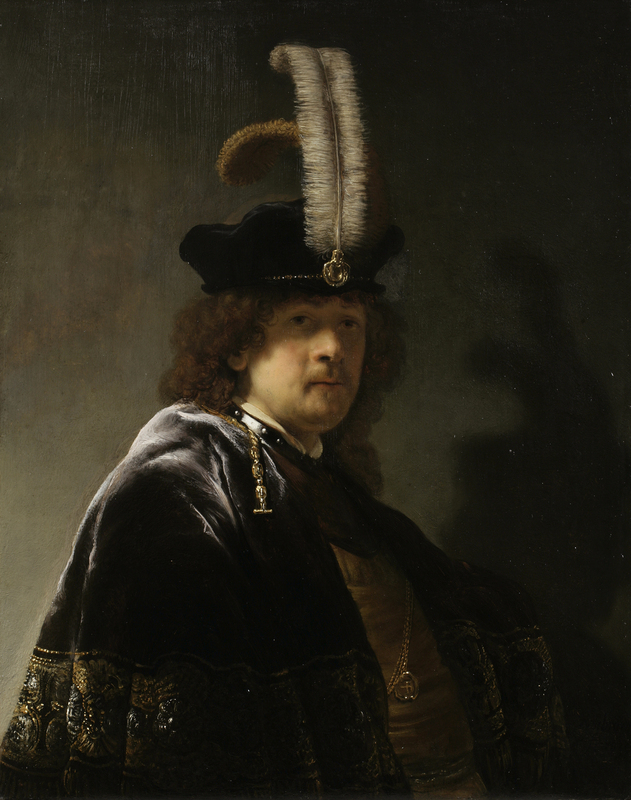 As you enter the exhibition gallery you are met by Rembrandt van Rijn’s remarkable ‘Self-Portrait, wearing a Feathered Bonnet.’ There is such life to the portrait. It displays the psychological insight and unsurpassed technique which underpins Rembrandt’s reputation as an artist. Here we see Rembrandt’s confidence at the height of his wealth and fame. The portrait is typical of the popular tronie genre where the sitter is depicted in costume playing some sort of role. Rembrandt’s costume with its velvet bonnet decorated with ostrich feathers, the gorget armour and aristocratic hair lends the painting a timeless quality. His pose and the dramatic use of light seems to unite sitter and viewer. Simon Pietersz Verelst (1644-1721), Prince Rupert of the Rhine c.1680-82, oil © National Trust. The portrait of Prince Rupert of the Rhine (1619-1682) by Simon Pietersz Verelst is of contrasting style. 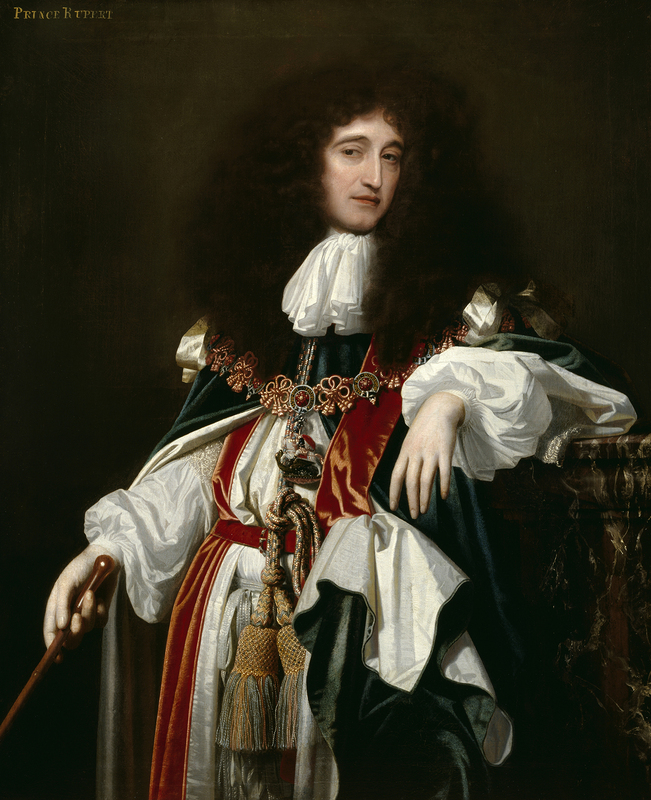 The painting forms part of Petworth’s permanent collection and depicts Prince Rupert in middle age after the restoration of his cousin Charles II. He wears the robes of the Order of the Garter. Verelst employs light and colour beautifully to emphasise the opulence and power expressed in his attire.